A gem among the giants, walking distance to downtown Murphys. All 37 non-smoking rooms come with 25” TV’s with VCRs, hair dryers, irons w/boards, in-room coffee, bathtub showers and alarm clocks. 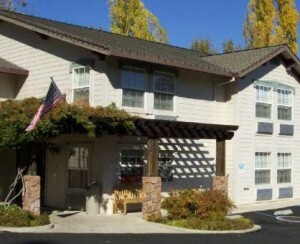 We have a seasonal pool, fitness room, coin-operated laundry facilities and computer center with high-speed Internet access for guest use including WI-FI. AAA approved with 2-diamond rating.